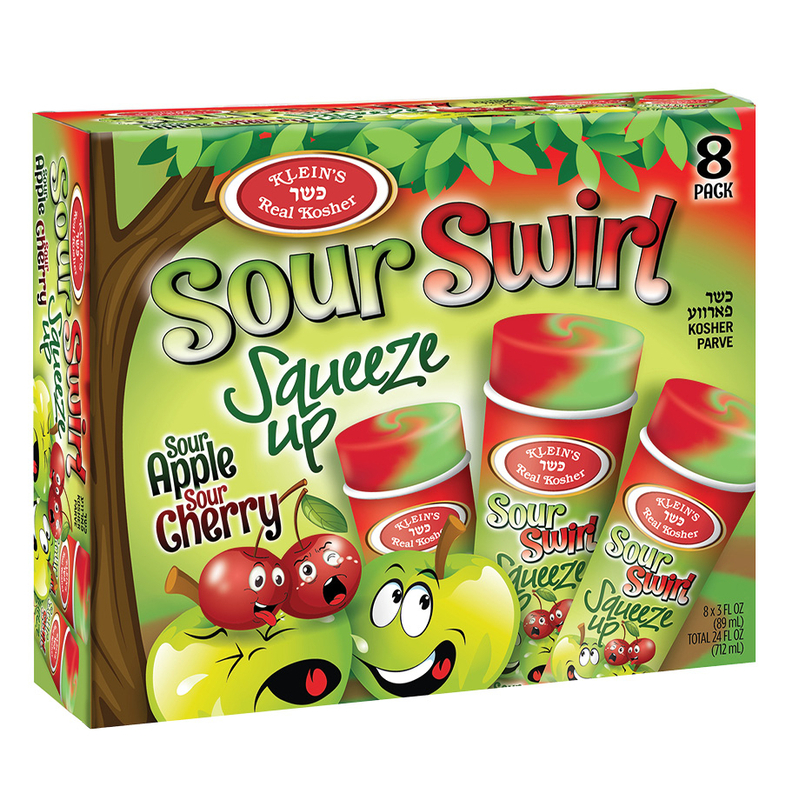 Sour Apple Sour Cherry Squeeze Ups is this summers newest sensation! 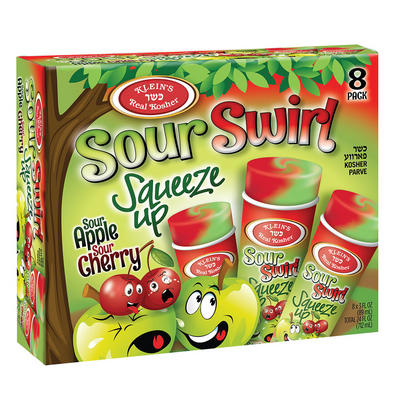 delight your kids with this refreshing sweet and deliciously sour treat! 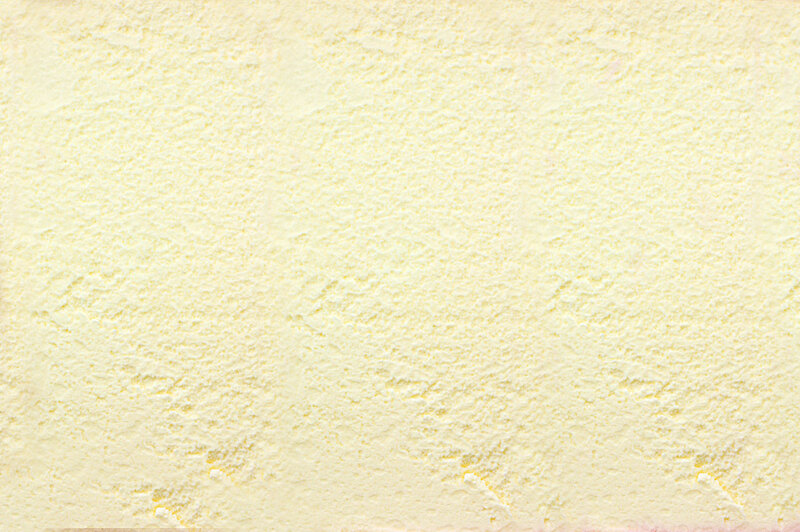 Micron filtered water, sugar, corn syrup, apple juice concentrate, malic acid, cherry juice concentrate, natural and artificial flavors, citric acid, guar and xanthan gums, FD & C Red #40, FD & C yellow # 5, FD & C blue #1.